The doctor recommends handmade cards when sickness strikes, and My Favorite Things has a prescription for that! 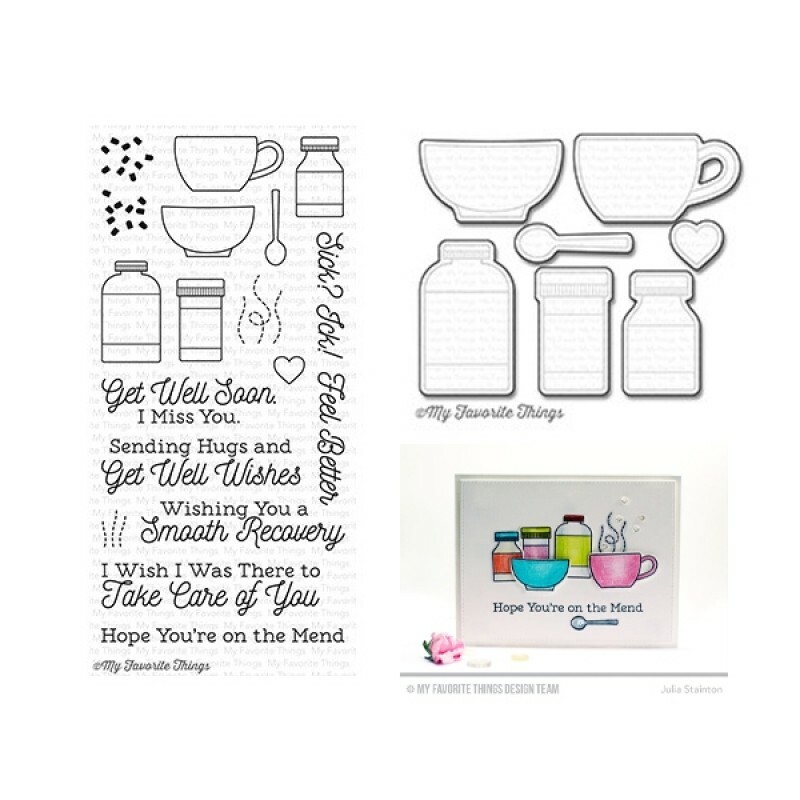 The Feel Better stamp set features adorable medicine bottles, a soup bowl, spoon, and cup just right for creating soothing well wishes for those who are ill. Add fun details with the heart, steam, and clever 2 step pill stamps also provided with this set. The sweet sentiments in fresh fonts are perfect for creating get well cards — from minor illnesses to surgery and beyond. 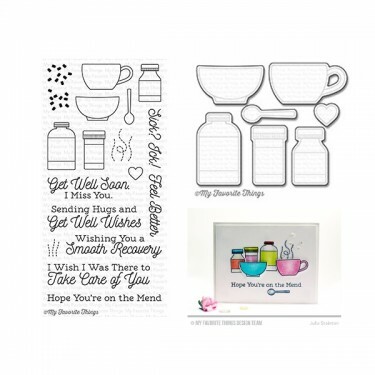 Pair this set with our Band Aids and Bedside Comfort Die-namics for even more mileage in creating get well greetings. Creating with this set will cure what ails you! Medicine bottles (3) 7/8” x 1/2”, 3/4” x 1 3/16”, 11/16” x 1 3/16”, Cup 1 5/8” x 7/8”, Bowl 1 3/8” x 3/4”, Spoon 1/4” x 1 1/8”, and Heart 3/8” x 3/8”, Pill halves (2) 5/8” x 3/4”, 13/16” x 11/16”, Steam (2) 11/16” x 1”, 3/8” x 5/8”, and Sentiments (7) ranging from 2” x 3/8” (Feel Better) to 3 1/4” x 13/16” (I Wish I Was There…). All MFT clear stamps and Die-namics are made in the USA. 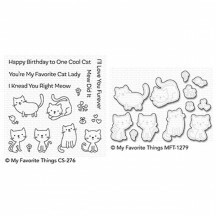 For use with an acrylic block (available separately).